Over the past several years I have had the great blessing to become acquainted with the Andalusian horse. His amazing grace, combined with a willing attitude and loyalty that endears the horse with its’ human. I have learned a bit about the tradition of the Spanish cowboy…The Doma Vaquera, and the equipment and regalia employed for function and artistry. And I have been enamored by the beautiful dance of a la garrochista with his beautiful Pure Raza Espanol horse, a 13-foot long pole called a ‘garrocha’ (ga-roach-a) accompanied by Spanish guitar music, as they accomplished effortless canter pirouettes. 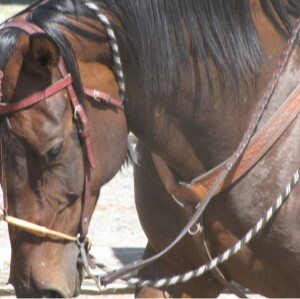 This is an art form and a compliment to true horsemanship universally.